Ok guys, it’s confession time: I’ve been living a lie. You see, as a frugal blogger, and a generally frugal person I am supposed to scoff at people who spend money on fancy coffee shop drinks. I’m supposed to make my coffee at home, or if I must get coffee on the go, suffer through the swampy, burnt gas station brew. I’m not supposed to have a $4 latte problem. Neither is my husband. But we do. And it’s gotten out of hand. We typically watch our pennies and try not to spend on frivolous things. We try to be frugal and mindful of our spending. Somehow though, we got sucked in. We started spending $10 a day on lattes and macchiatos. One of the things we struggle with most (like many people) is when we are on a budget, if we aren’t careful about it, it can leave us feeling deprived. Sure, I was capable of making coffee at home, but having plain ol’ single serve k-cups is not nearly as tasty as my caramel macchiato addiction. 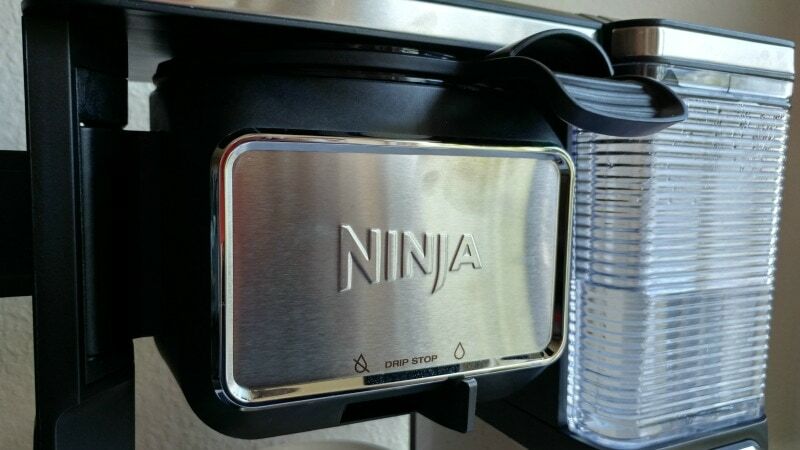 Enter the Ninja Coffee Bar®! Is the Ninja Coffee Bar worth it? I’ll be honest, it’s a little intimidating at first. But if it’s half as good as Sofia Vergara has led me to believe then it’s worth the initial investment right? Well I got one to find out! The fine folks at Ninja sent me the Coffee Bar to prove to me that awesome caffeinated beverages don’t have to come from a barista. It’s got everything you need to create the best coffee drinks at home, no tip jar required. I love, love, love everything about the coffee bar. Even the generic, cheap coffee we got tasted incredible coming from this machine. It has a scoop and reusable filter for perfect measuring and brewing. This version comes with a beautiful glass carafe and sturdy travel mug so you always have plenty of coffee for company or on the go. That’s one thing we missed with our individual cup machine we had previously-you had to wait in line for your coffee to brew if there was more than one person making a drink. Whatever you choose to put in your drink (or whether you prefer to drink it totally plain) is up to you, but you’ll still get the perfect cup every time. Possibly my favorite thing about the Ninja Coffee Bar is the brew over ice setting. 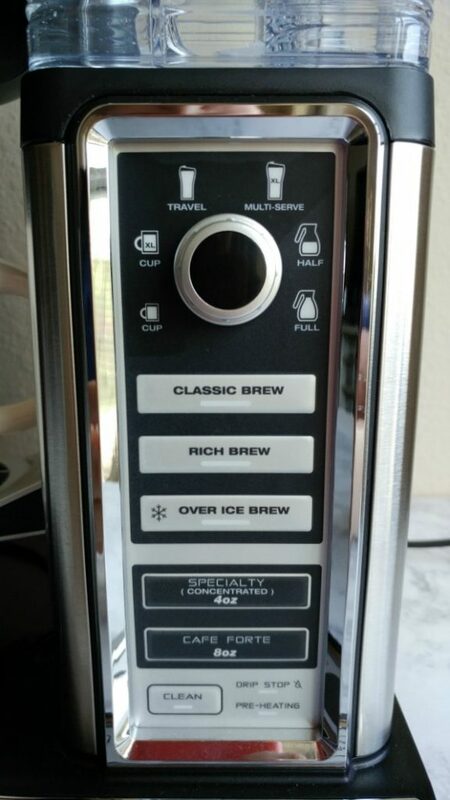 I don’t know how it works, maybe it’s magic coffee elves, but it tastes 1,000 times better than brewing k-cup coffee over ice. The ice usually melts leaving the drink totally watered down but this brews the coffee richer so that it compensates for the inevitable ice melt. Kind of genius, and kind of perfect for the hot summer days ahead! There’s other settings too, which makes my husband happy. He loves the rich brew setting, where as I’m more of a “classic” kind of girl. And let’s not forget that buying bulk coffee is of course cheaper than k-cups and has less impact on the environment. Even if you buy the “fancy” ground coffees, you still aren’t going go to pay as much as you would with the individual cup brewers. While I haven’t tried it in the Ninja Coffee Bar yet, I am excited to give my bulletproof coffee at try. As you know we try to eat low carb (most of the time) and so being able to make my own bulletproof coffee without having to pull out the immersion blender is a huge plus! Not to mention the fact that I have control over exactly what goes into my coffee. I don’t want to point fingers, but my order got messed up at the coffee shop on the regular and so my drinks that were supposed to be sugar free often were not which can be dangerous for diabetics like myself! 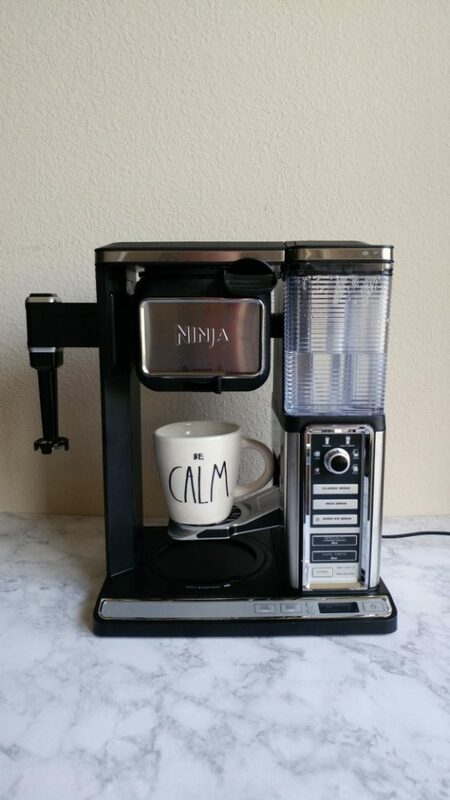 Funny story: I posted a picture of my Ninja Coffee bar on my personal Facebook page when I got it, and immediately two of my friends ordered them as well. They’ve since received theirs from Amazon and from what I have been hearing, they are just as much in love with theirs as I am with mine! As I sit here sipping my luscious iced-coffee, I wonder why I ever bothered with the ridiculously overpriced “trendy” coffee chain when I can make my own stuff at home that tastes better, is cheaper and I know exactly what goes in it! If you’re still on the fence, check out this video I made to show what this badboy can do! So pull up a chair, grab your favorite book, whip up one of these tasty drinks and save that $5 for something more valuable than a latte. Have you tried the Ninja Coffee Bar? Tell us your thoughts! So how much is one of those going to set you back? 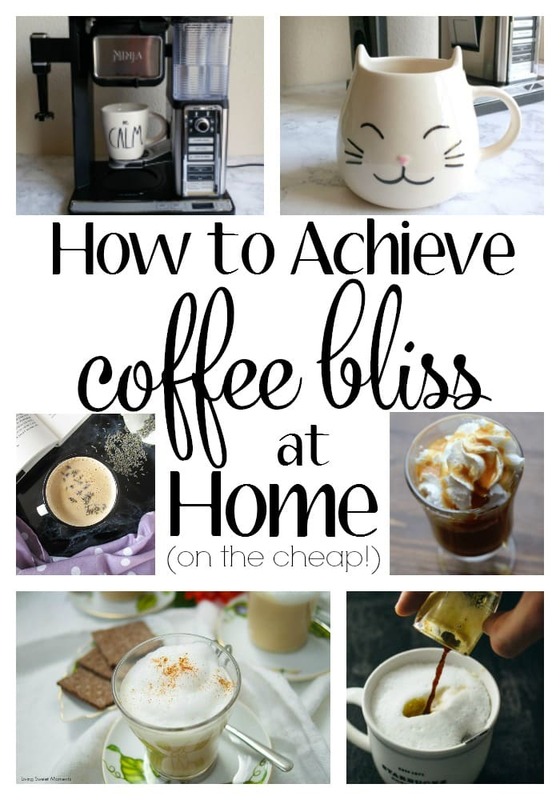 We have both a Tassimo and a Keurig (Yup we like our coffee a little too much too) so if we could get something that would brew great coffee and make a latte I would much rather switch. I’ve been trying to convince my husband that we need one of these in our home! 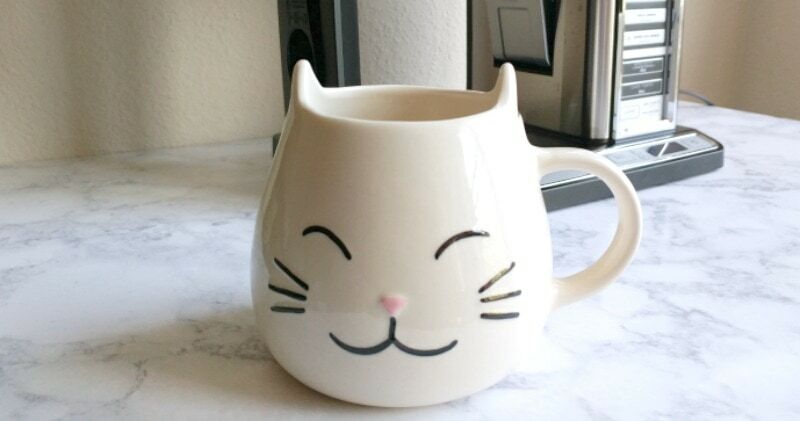 I love it and your kitty coffee mug! I desperately want one of these. I beg for one every year but sadly my fairy godmother has not replied. It is an awesome machine. Oh, I want this in my house! I love to take the morning slow on the weekend and a nice cup of coffee would be great. A lot of times I do go to a coffee shop because I cannot make it all at home. The Ninja Coffee Bar looks like something I need in my life!!! I love Ninja appliances and have a couple in my kitchen. Plus, coffee! I am all about the coffee!! Thanks for sharing this. I have to run out and get one! Does the frother on this system work well enough to make bulletproof coffee? I feel like my counter is being taken over by all of the different appliances that I use to make my bulletproof every morning.